This is the Iceland trip you have dreamed about with Becoming an Outdoors Woman. 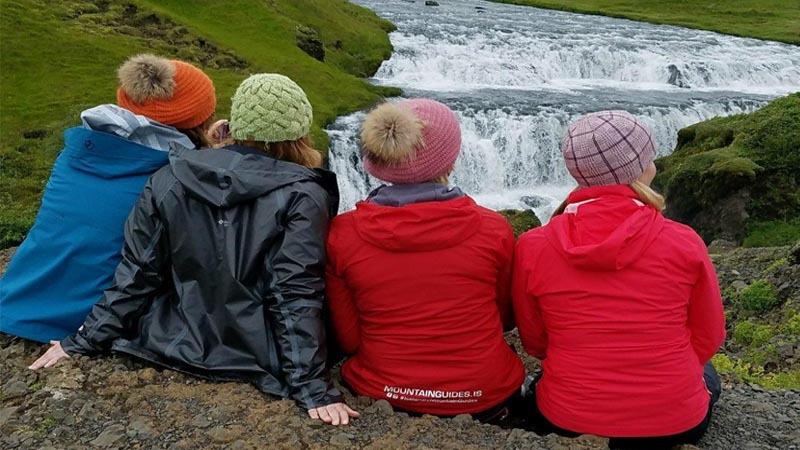 Let us help you explore Iceland’s natural treasures while you connect with nature in the company of a great group of women. 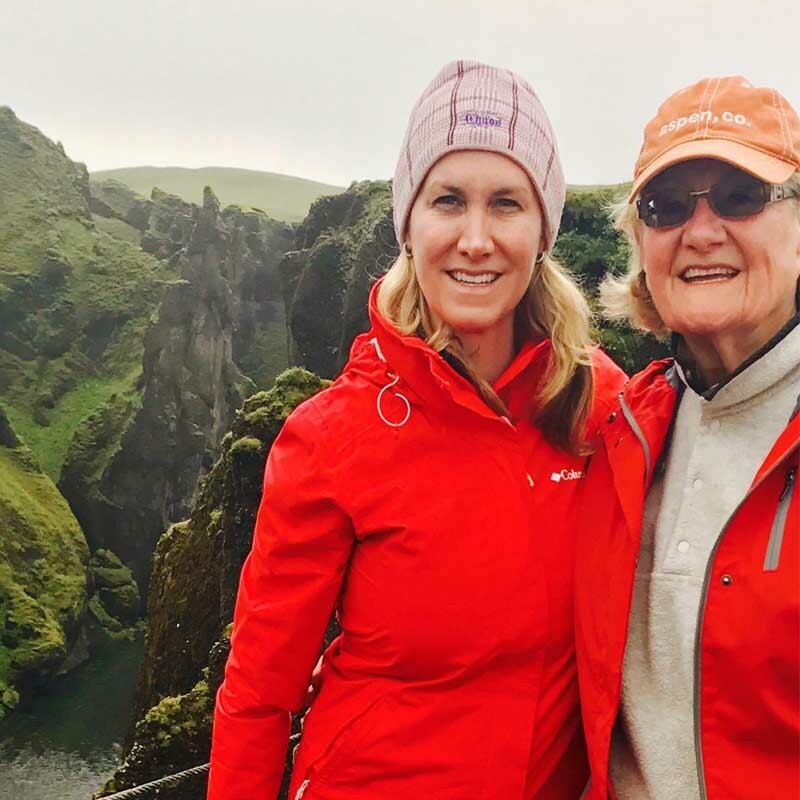 Join us in Iceland on this women-only group travel adventure that will introduce you to the island of fire and ice. Be immersed in the elements of Iceland: dramatic scenery, geothermal energy, and massive glaciers!! 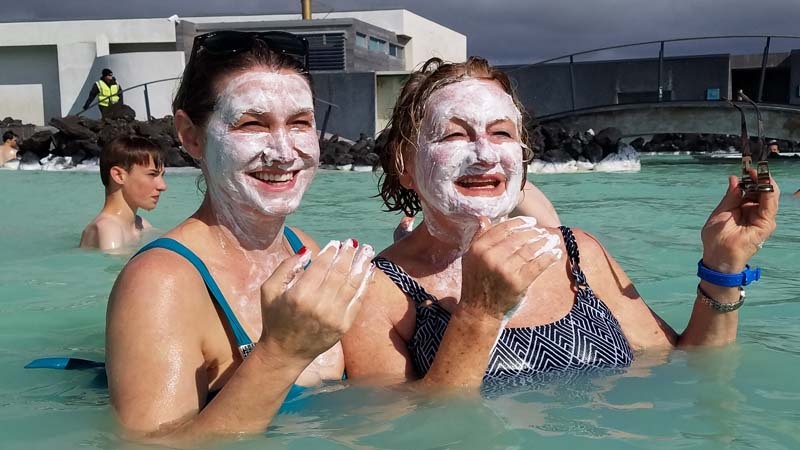 This women’s trip to Iceland is active, informative, and covers a lot of area in 9-days. 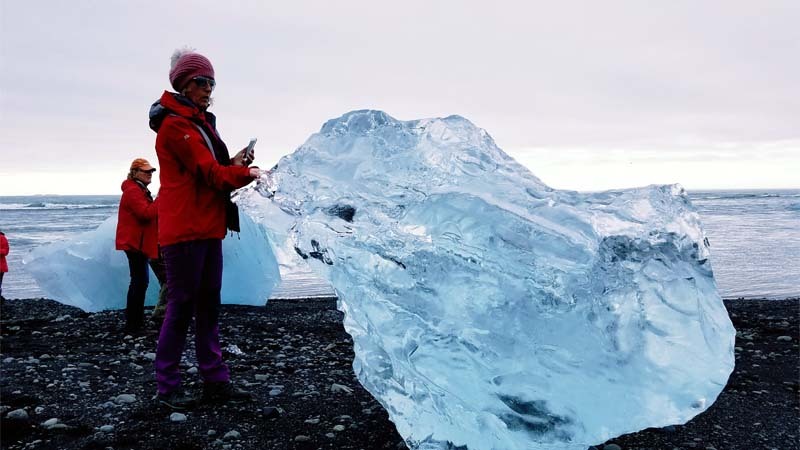 We start in Reykjavik and then branch out west to the Snaefellsness Peninsual, back south through the Golden Circle, and along the south coast as far East as Jokullsarlon (the glacier lagoon). The itinerary will take you to Iceland’s popular treasures like Gullfoss Waterfall, Strokkur Geyser, and some of it’s off-the-beaten-path trails, guest houses, and thermal pools. 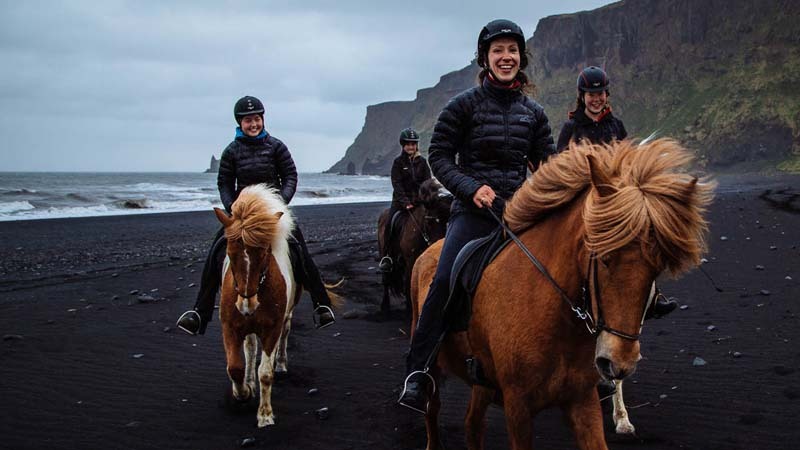 We have partnered with Becoming an Outdoors Woman to offer this active educational travel adventure for women of all ages and backgrounds.Participants will experience a variety of scenic and rewarding hikes tailored to the group’s interest and skill levels, sea kayaking, glacier trekking, riding Icelandic Horses on black sand beaches, and soaking in hot springs. If you are looking for an active adventure with a like-minded group of travelers and future life-long friends, this is the trip for you. All skill levels welcome. No experience necessary. Solo women travelers, friends, sisters, partners, mothers and daughters. All women ages 18+ are welcome. 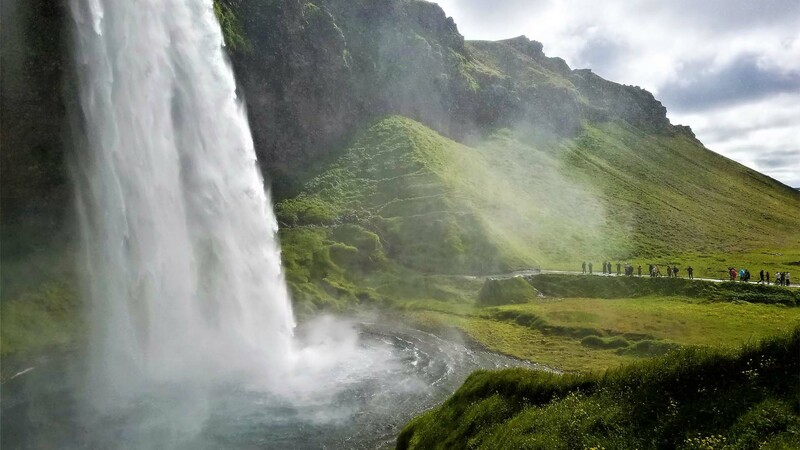 See the lesser traveled parts of Iceland including the Snaefellsnes Peninsula, a variety of scenic & off the beaten path hikes throughout the trip, and spend time in small towns and hamlets. 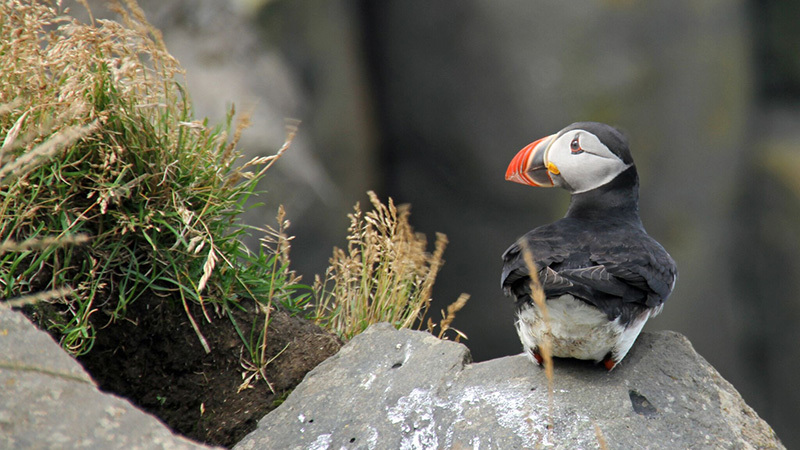 Get up-close to puffins and shore birds on a North Atlantic Boat Tour. Experience Iceland’s treasures: The Golden Circle: Stukkur Geyser, Gollfoss Waterfall. Learn about Viking history at Þingvellir National Park. 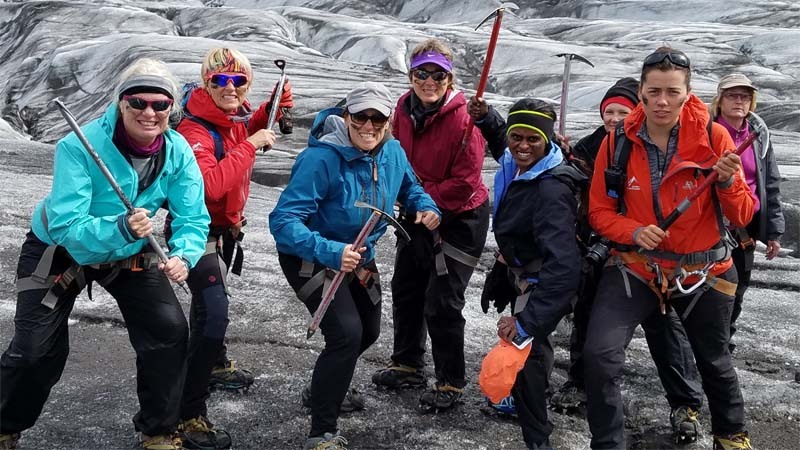 Don your crampons and get on ancient ice for a glacier trek. Feel blue! 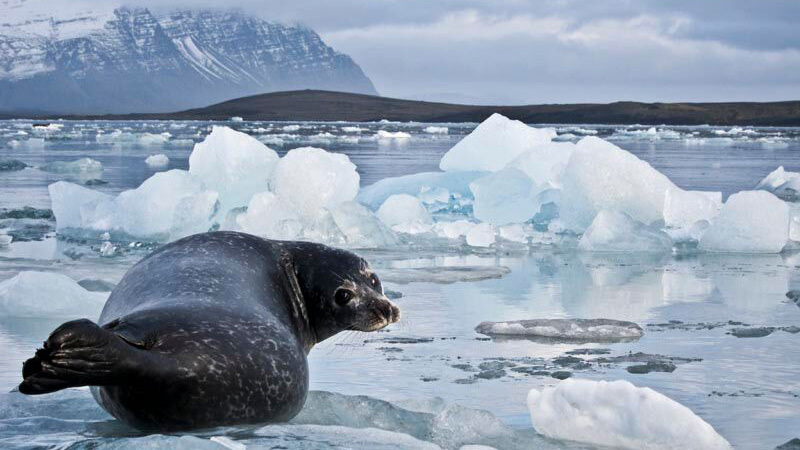 Take a thrilling zodiak trip into a glacier Lagoon to photograph towering icebergs. 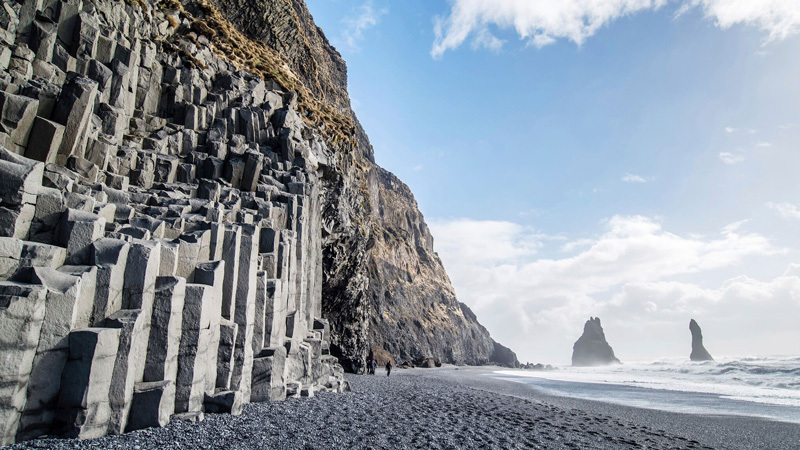 Explore the black sands and epic basalt columns of Vik, Rynisfjara, and Dyrholaey Nature Reserve. Paddle paradise via a 2- hour adventure kayaking trip through marshes into to the Atlantic Ocean. See geothermal energy in action, powering the country, and growing food in green houses. Relax in the Blue Lagoon and lesser known Secret Lagoon’s geo-thermally heated water. 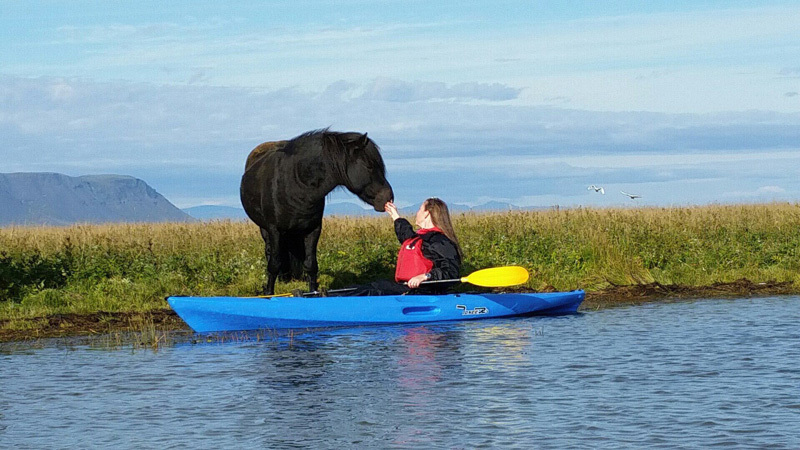 Meet Icelandic Horses for a tölt on the beach. Kristin (kristeen) has lived in Iceland her entire life, except for the two years she spent in the USA. 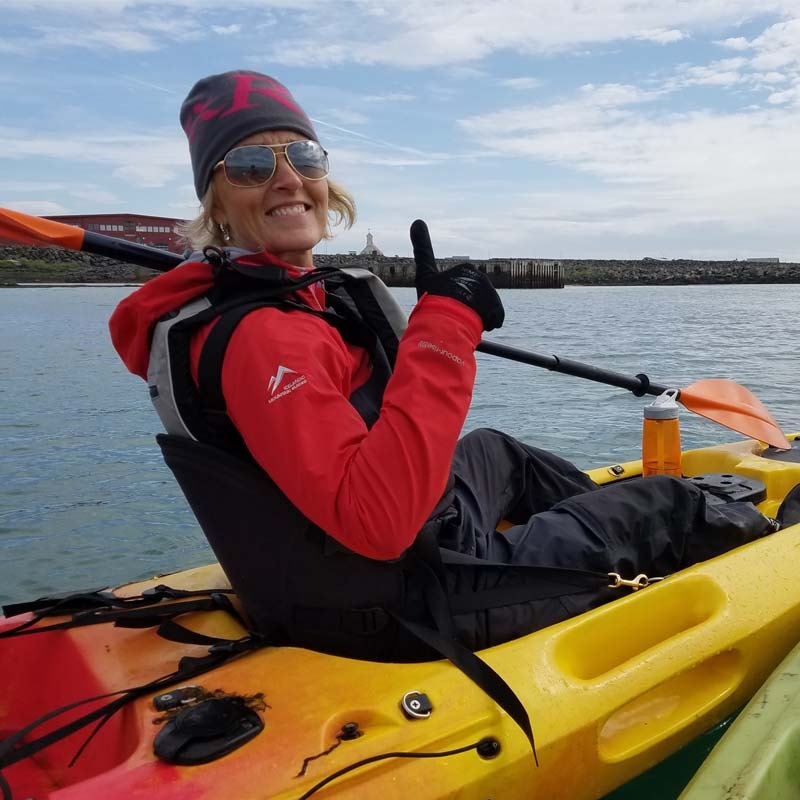 Kristin loves all kinds of sports, including skiing, cross country skiing, mountain skiing, and alpine skiing and sharing her passion about Iceland with others. She is one of a small group of women who hike across Iceland over 30 days time. Additionally, she is an aesthetician and teaches Pilates. Kristin's secret to health is, "to always take the stairs." Our participants love Kristin's humor, caring guide style, and fun personality. Arrival at Keflavik airport anytime that is most convenient and economical for you. Transfer to Reykjavik is not included but we will help participants arrange transportation. Meet and greet. Introductions and a walking tour of Iceland’s largest city. Dinner in town (not included) and overnight in guesthouse. Overnight at Reykavik. Stops at breath-taking waterfalls, geysers, and black sand beaches. A variety of easy -guided hikes with unbelievable beauty. Entrance to the Secret Lagoon hot pool. Guided glacier hike in Skaftafell National Park. 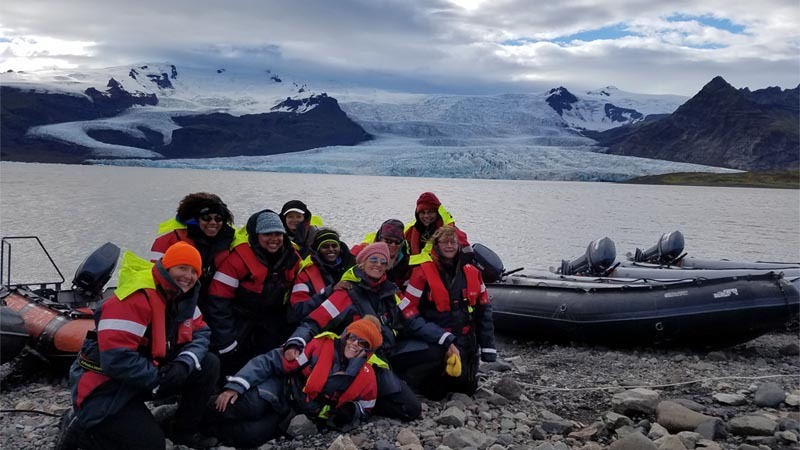 Zodiak Boat trip into a glacier lagoon. Ride Icelandic Horses on the beach in the shadow of trolls in Vik. See puffin and experience Viking Sushi on a North Atlantic Boat trip. Entrance to the famous Blue Lagoon. English speaking Icelandic driver and guide for 7 days from day 2 to day 8 plus. Green Edventures/BOW Representative from day 1 to day 9. Return trip group transfer from Reykjavik on day 9 to Keflavik international airport. Lodging in guesthouses in double twin rooms with shared toilet and shower facilities. Airport transfer from Keflavik to Reykjavik day 1. Most meals except breakfast & 2 lunches. Optional excursions, visits to museums.